Today’s episode is with artist Lisa Sonora. Lisa is an artist who travels the world taking and teaching art classes, and a few years ago she settled in Oaxaca, Mexico. 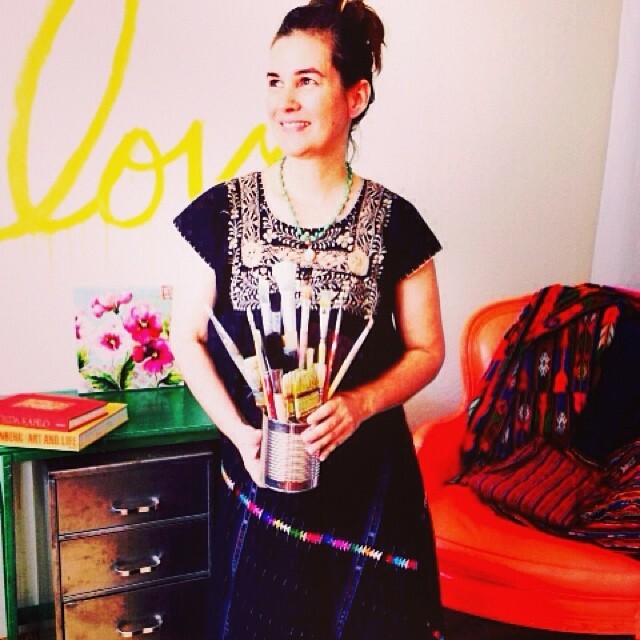 She now hosts art retreats at Art House Oaxaca, and other artists teach there as well. 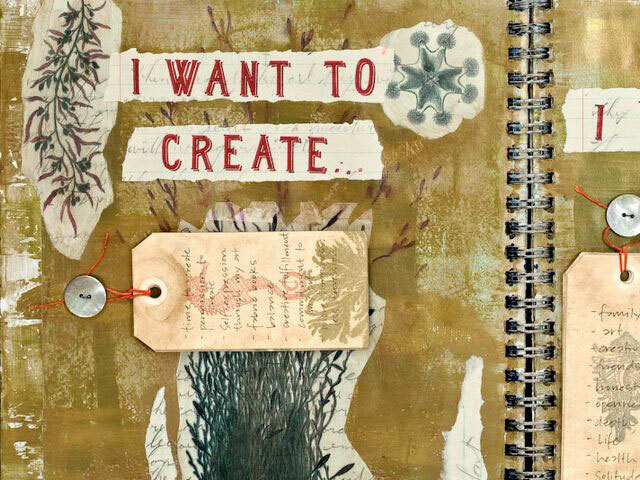 Her website and blog feature many free resources and she has online classes to help you effortlessly create art. 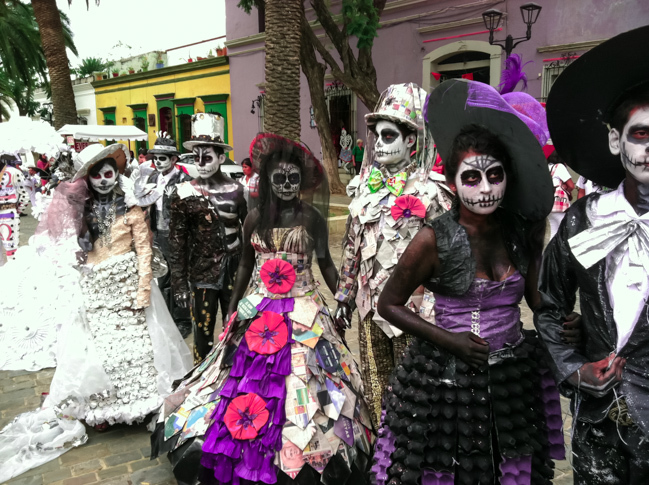 Lisa invites artists to be in Mexico to experience The Day of the Dead. 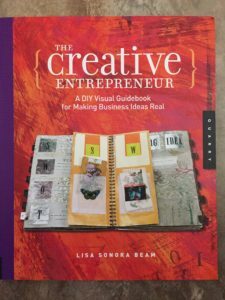 Lisa's book The Creative Entrepreneur can be found on Amazon. Lisa Sonora’s website is lisasonora.com. You can find the list of retreats hosted at Art House Oaxaca on her website here. Lisa will be hosting write Phil Cousineau at Art House Oaxaca in 2010. Visit her website later for information. You can find out more about Phil Cousineau at his website here. Lisa hosts Connie Solera for retreats in Oaxaca a couple times a year. You can find out more about Connie and the retreats that she hosts at her website. When we develop our non-dominant skills, we actually become better at what we’re good at. 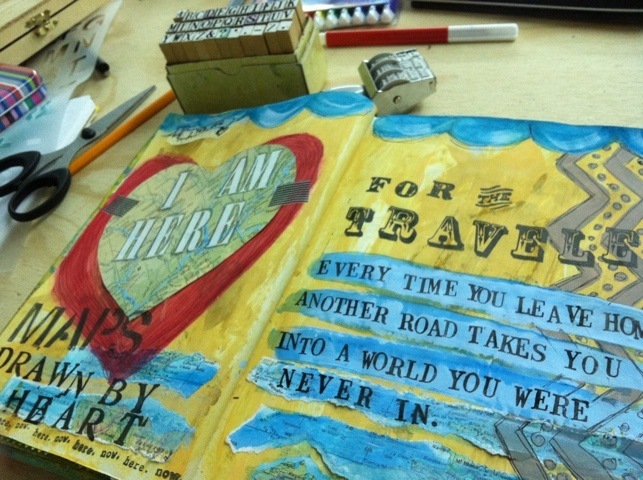 Lisa teaches people to travel like an artist and keep a richly layered travel journal. She recommends that after you collect your mementos, you write and sketch about what you have done. Women are relationship-oriented in how they do their business, and you can use that as your strength. Our art-making is influenced by all aspects of our personality. For example, if you are introverted or extroverted, or if you are a leader or a follower. When you work alone, you risk falling into the danger of not having an external deadline. You need to give yourself your own accountability. Lisa recommends to everyone that they combine creating with traveling. Start your January by budgeting the time and money to take an artful adventure this year with a teacher that you really like. It takes a lot of energy to travel, but it’s worth it.